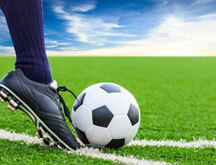 Ankle and foot pain are extremely common ailments and can be caused by a wide range of injuries and conditions. Whether your ankle pain is caused by weak muscles, lack of exercise, or past sports injuries, it can seriously affect your day-today life. No matter the cause of your ankle pain, the result is often the same: inability to enjoy physical activities, reduced mobility, and frustration at not being able to get around comfortably. 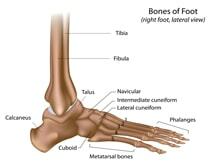 Sprains occur when an ankle is rolled and once they have happened once, they tend to keep happening. 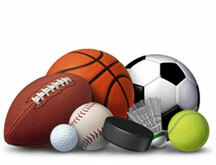 Athletes tend to experience this quite often as a result of sports injuries. This is because injury to the ligaments of the ankle causes a disruption in the proprioceptive fibers which communicate with the brain to let it know when you are losing your balance. When these signals are not communicated properly, the body is not able to adjust and compensate to catch you before you fall. This injury tends to worsen the more often it occurs, and can eventually lead to a stress fracture. Luckily, one of our expert physiotherapists can help you with some simple exercises and stretches that will retain proprioceptive fibers to better communicate with the brain, preventing future injuries and strengthening muscles. This type of fracture is often not visible on x-rays but can cause significant pain. Because of this they can occasionally be difficult to accurately diagnose. They are often caused by repeated stress on the foot or ankle but may also occur as a result of a single event that caused significant stress to the area. Arthritis is common in the joints of the legs, feet, and ankles, as they are weight-bearing joints and do a lot of work to keep your body in motion. Swelling and stiffness may occur as well, but can be managed with the help of one of our expert physiotherapists. An unusual cause of ankle pain, gout is caused by large amounts of uric acid accumulating in the foot. Symptoms include burning pain that comes on suddenly and extreme sensitivity to touch. The Achilles tendon runs along the back of the foot and connects the muscles in the calf to the bones of the foot. 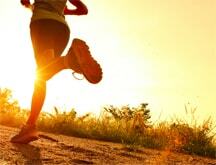 When tendonitis – inflammation of the tendon – occurs in this region, it’s typically the result of running and jumping. However poor foot posture can also be a significant contributor by causing uneven or excessive wear on the tendon. 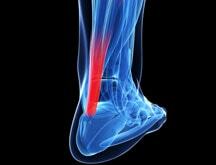 Treatments for Achilles tendonitis include physiotherapy and the use of customized orthotics to control foot posture. A long-lasting and painful inflammation of the connective tissue along the bottom of the foot, platarfascitis is also exacerbated by poor foot posture. At PhysioNow we can provide patients suffering with this debilitating condition with a customized treatment plan including foot orthotics, ultrasound treatments, and physiotherapy to get you back on your foot as soon as possible. With this painful surgery comes an equally painful recovery, but a good treatment regimen of massage and physiotherapy treatments can bring great amounts of relief to patients. This inflammation of nerves between the toes of the feet is typically caused by damage to or collapse of the metatarsal head. High heels can greatly exacerbate this condition and should be avoided. 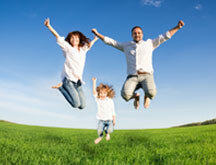 Treatments include orthotics and physiotherapy. No matter what is causing your foot pain, it can be extremely debilitating and will have serious effects on your mobility, enjoyment of favorite activities, and quality of life. 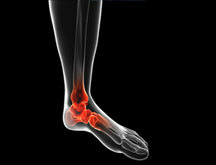 Physiotherapy is often the best, and sometimes only, treatment option for many causes of foot and ankle pain. Contact us today to find out how we can tailor the perfect custom treatment plan to help you back on your feet!